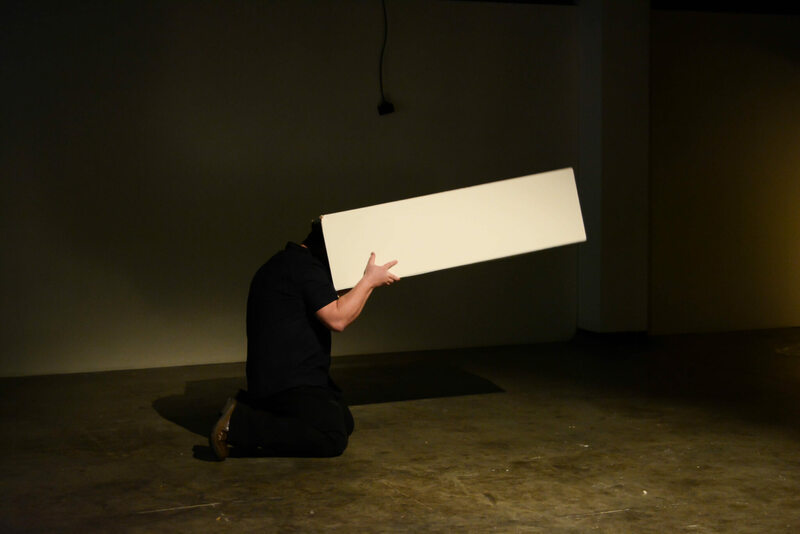 “Action Sculpture” at Livestock, the Complex Dublin, March 2016, photograph by Amber Baruch. Paul King graduated from the University of Ulster with a BA Hons degree in Fine and Applied Art in 2002, and Master of Fine Art from University of Dundee, Duncan of Jordanstone College of Art and Design in 2004. He has been a member of the performance collective Bbeyond since 2008. His practice is a study of the nature of communicating with one another and the power issues and interplay involved therein, contained within the art-theatre-playground. He puts emphasis on the elements of failure, alienation, frustration, and aggression. “And sometimes I make art about making art”. An excerpt from a review by Dr. Slavka Sverakova for PANI, Performance Art Northern Ireland, 2010, a Bbeyond publication.